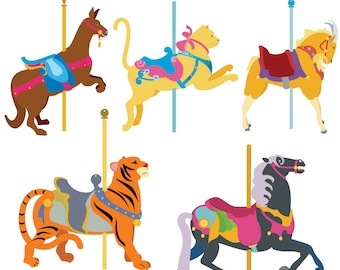 Animal royalty free clip art. Limited commercial use OK up to 200 copies. 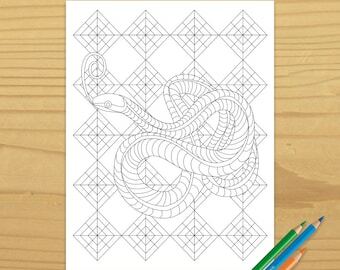 Extended license available for larger quantities. 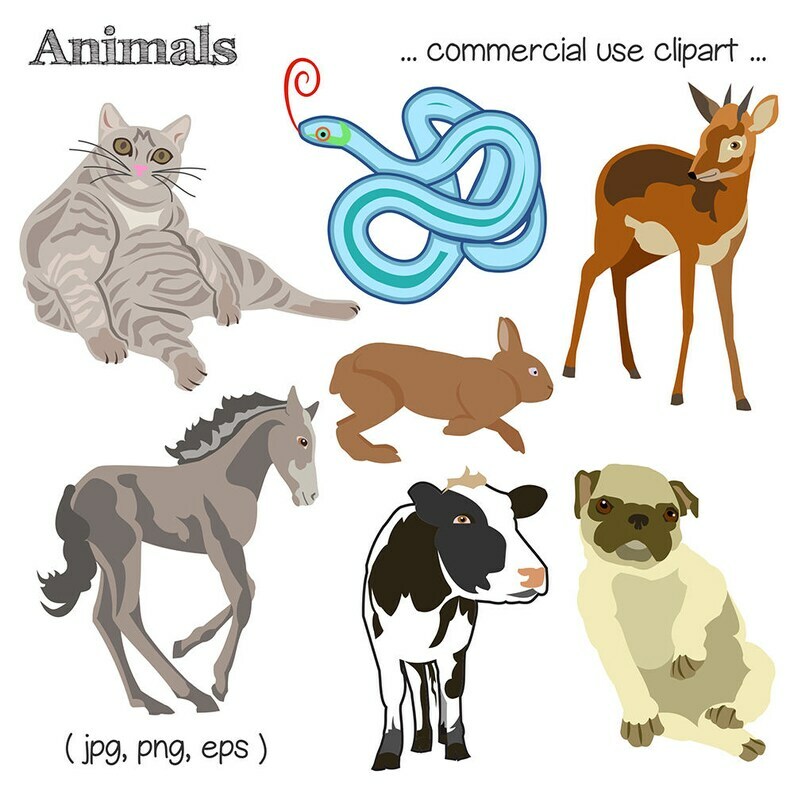 Set includes cat, snake, horse, rabbit, antelope, cow and pug clip art.